The parks are open year round from dawn to dusk. Pets are allowed in the park. All animals must be kept on a leash. Picnic Shelters and Lyons Lodge may be reserved at Wall Lake and Bucher Prairie. Reservation forms can be found under each park. Alcohol is not permitted in Minnehaha County Parks. 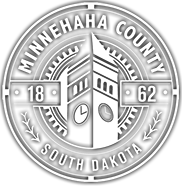 Minnehaha County embodies the American tradition of preserving public lands for the benefit and use of all. Three County parks provide a place to socialize and be part of the community, a place to be reinvigorated and de-stress, and a place to be active and interact with nature. We invite you to visit your parks today.